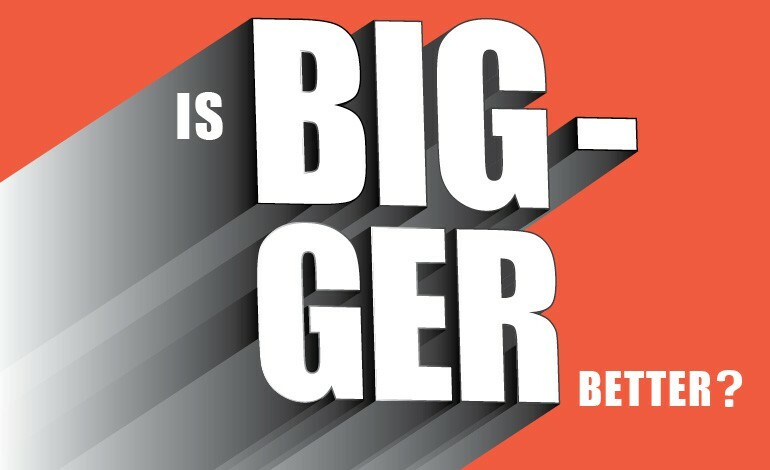 3PL Advantages: Is Bigger Really Better? For shippers researching 3PL advantages and wondering how to get the most value from a 3PL relationship, one issue that comes up is the size of the provider. Do companies want the size and scale of a larger 3PL or the agility and focus of a small to mid-sized provider? In CSCMP’s 2016 State of Logistics report (well worth the read, by the way), the report’s authors reached out to a number of industry leaders for comments, and one of these comments got my attention. We respect Mr. Jacob’s past successes outside of our industry and the energy and vision he has brought to XPO. But we question the implication that maximum value cannot be gleaned from any provider below $10 billion in revenue. When it comes to maximizing 3PL advantages, is bigger always better? If it is, why do Procter & Gamble, Kimberly Clark, Walmart and many other Fortune 100 companies rely heavily on smaller 3PLs to manage critical segments of their distribution supply chains? Why did Sam’s Club just name Kane Is Able the retailer’s 3PL of the Year for the second consecutive year – a feat no other provider has ever accomplished, even the big guys. Why did SalSon Logistics receive GAP’s Supplier Award for Service in 2015? That’s the top award for ALL of GAP’s global suppliers, not just logistics. Why does Unilever regularly award its DC of the Year to Shipper’s Warehouse? All of these 3PLs are mid-tier providers who, in the minds of some pretty large customers, are delivering extraordinary value with technology-driven solutions. But today’s sophisticated logistics buyer recognizes that BIG also has disadvantages, particularly when the 3PL is really just a conglomeration of many other 3PLs. People define value in different ways. It’s why some love the one-stop shopping convenience of mega-retail stores, while others avoid them like the plague. Shippers are no different. That’s why there is plenty of room in the market for large, global providers like XPO, for growing mid-market players like KANE, and for small, specialty providers that deliver a niche solution.